You've heard the stories. When the Indianapolis Colts played the New England Patriots in the AFC championship a couple of weeks ago it was discovered that the footballs the Patriots used in the first half were about 15% too flat. After the officials inspected the balls before the game, they mysteriously lost 2 psi of air pressure by half time. The suspicion is that the Patriots (or someone in their employ) let some air out of the ball because Tom Brady prefers to play with a softer football, and/or because it might help the running backs to grip the ball. The fact that the Patriots scored 28 points after half time with the footballs back at their legal air pressure certainly challenges the issue of whether they obtained any real advantage with the softer balls. Nonetheless, if the balls were deliberately deflated after the official inspection it's a pretty blatant rule violation. Since the Patriots already have a black eye when it comes to breaking rules (think Spygate) some pundits are calling for severe penalties over the air pressure issue. Personally, I don't see it as requiring more than a slap on the wrist and increased scrutiny in the future. How big has this issue been? For the last week, this discussion has dominated the sports talk airwaves. It has generated numerous memes on facebook. Sports websites have turned into science journals as they discuss how atmospheric and environmental conditions impact air pressure inside a football. Oh, and the Super Bowl is this coming Sunday! This won't distract at all. 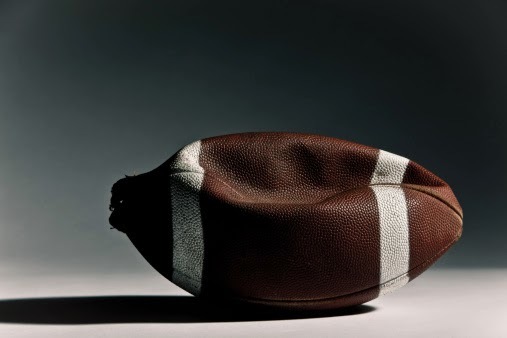 The sad truth is that Deflategate routinely occurs in our churches. Let me demonstrate. Chuck: I came by the church building Monday morning and I noticed the doors were unlocked. Anyone could have just walked in there and then walked out with whatever they wanted. This is serious. Whose job is it to lock the building each Sunday? Roger: This doesn't sound right. We'll look into it. Someone must know something. Bill: It wasn't me. I'm never the last one to leave. I don't even know if the doors have locks, yet alone how to use them! Tom: I have a key and I often use the locks, but there are other people as well. No one seems to have the specific responsibility of locking the building and we sure can't figure out who was the last person to leave yesterday! Roger: This really is serious. Do we know whether or not the building is ever locked on a Sunday night? Bill: It definitely wasn't me. I've looked into it, and it's quite possible that due to the weather the door has swollen a little, maybe water in the wood, or warmer temperatures. When that happens the door often jams, so it looks and feels closed, but if you really pull on it the lock wasn't engaged. Elders: We have a meeting this week. We should be able to allocate a couple of hours to discuss this. Tom: Ha, Ha, Ha, Come on fella's, it's not that big a deal. Besides we've got this big evangelistic campaign coming up next weekend. Could we spend some time going over our plans for that? Elders: Tom, we'd like you to come to our meeting. Once we get this matter resolved we can turn our attention to the plans for this weekend. It really is this easy to let little things around the church take precedence over the important mission God has given us. Gossip, complaining, accusing... all these negatives behaviours will just take the air out of a church. They distract us. They create discord. And they're not that important. Of course we want the doors of the church building locked when no one's there. Of course we want to have a backup when the projector blows a bulb. Of course we don't want rubbish under the pews. Of course we want a million little things to be done "just right". But we can't let any of these little things become the BIG THING in the life of God's People.